FAST SHIPPING FROM WITHIN THE U.S.
CONSUMER FINANCING THRU PAYPAL CREDIT! If you suffer from an excessive sweating problem, you likely are looking for more information — how do you know the severity? What causes are behind not being able to control excessive sweating? What can you do to begin helping excessive sweating? It actually happens to be a lot less complicated than many people believe, and since it is fairly common, there’s no need to be embarrassed. Just read on for the information you need to know about excessive sweating. This may seem like a fairly obvious answer, but many people overlook the extent of hyperhidrosis. It doesn’t just refer to excessive sweating in the underarms. It could come up on the head, palms, or soles of the feet. There isn’t a one size fits all explanation for symptoms here, contrary to popular belief. About 30% to 50% of those dealing with hyperhidrosis also have a family member with the condition, which suggests that it may be hereditary. Certain diseases may also be at fault when they affect the nervous system. The weather and emotions can also play a part in whether or not a person has hyperhidrosis. There are many treatments out there depending on the severity of the issue. One of the most common and effective treatments is iontophoresis. This treatment was introduced 50 years ago, and takes about 10 to 20 minutes. It involves a patient sticking their hands and/or feet into shallow trays of water. A doctor will then run a very low electrical current through the water for those 10 to 20 minutes. Doctors aren’t exactly sure on how or why it works, but they believe it somehow blocks sweat from reaching the surface of the skin. About six treatments are necessary for it to work. Did you know any of this about hyperhidrosis? How will you go about helping excessive sweating? If you have noticed that you are prone to excessive sweating, you may be embarrassed to ask around for help. 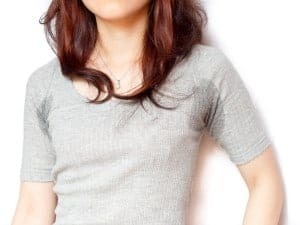 However, it’s more common than you may think: it’s caused by primary focal hyperhidrosis, which affects 1% to 3% of the population, and the eight million Americans dealing with the condition sweat four to five times more than the average. While the human body has two to four million individual sweat glands to help keep the body cool, it may not be that difficult to control excessive sweating. In fact, it may be something as simple as switching the deodorant you use, using more of it, or getting a stronger one prescribed to you by your doctor. Sometimes that simple fix will help out enough to keep it under control. This is a process that must begin with a professional, but later on you may do it at home once you learn about it. The process involves putting your hands, feet, or both into a shallow tray of water with a low electrical current for about 20 to 30 minutes. It isn’t really understood how this works to control excessive sweating, but most believe it has something to do with blocking the sweat from the surface. This must be repeated several times, but if you do it consistently, some say it stops sweating altogether. Surgery is only ever recommended when a patient has not responded to any other treatment of excessive sweating. This means that this method, though it is available, is very rarely used. With numerous other types of proven ways to control sweating, it isn’t necessary most of the time. However, if you feel this is the only option for you, consult with your doctor. There are also several options used to neutralize sweating issues. Don’t be embarrassed about having an excessive sweating problem. Instead, take control and find treatment! Iontophoresis: A Way To Control Excessive Sweating? Hidrex USA, LLC is a US based and American owned venture that has partnered with Hidrex GmbH (Germany), a manufacturer of various electronic medical products, including their highly rated iontophoresis devices.